Tennessee Ernie Ford’s album “Hymns” was the eighth best-selling album of the 1950’s. The album is a compilation of twelve hymns that Ford sang at the end of his television series, The Ford Show. The album held the number one position for five weeks, but was on the top 200 chart for 277 weeks. It was the first religious album to go gold, which many accredited to Ford’s powerful voice. Upon doing research on Ford I learned that his first hit is actually a banger of a song that I’d sung at camp every summer during my childhood, “Sixteen Tons.” Why they had a hoard of children singing a song about working too damn hard I have no idea, but it was always my favorite so what a great start! I also learned that Ford’s given name isn’t actually Tennessee, which was both a relief and as well as a huge disappointment. Tennessee Ernie was a nickname that Ford adapted when he was a radio host at the beginning of his career in the music industry. “Excited” definitely isn’t a word that comes to mind when I think about listening to this album. I’m excited in the sense that I get to expose myself to new music and who knows, I might learn that I love music revolving around Christianity, even though I’m not religious, never have been and most likely never will be. I appreciate music that holds a passion for something, even if I personally don’t align with it. I thought that it would be interesting to compare Tennessee Ernie Ford’s album to something completely different. 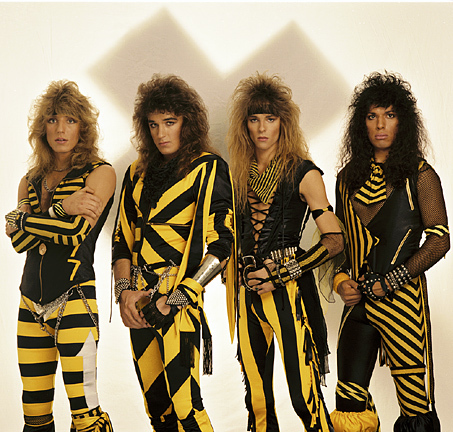 I’ve decided to listen to the Christian metal bands Stryper and Barren Cross that have been making music since the eighties and see how much difference thirty or forty years can make on religious tunes. I began with Ford’s album as a basis for the rest of article. Songs chosen for the album such as “Softly and Tenderly Jesus Is Calling” and “The Old Rugged Cross” are clearly named with Christian motifs in mind. The songs sound like something you could hear during a service in a church, featuring choral harmonies and an organ in the background. As a whole, the album reminds me more of a classic Disney movie soundtrack (thinking in terms of opening credit songs) much more than church with my grandparents which was surprising to me. I was hoping I would like “Hymns” since before I’d listened to it, but I wasn’t truthfully expecting myself to want to listen to it all the way through. But here I am, loving every syllable of it. I think my favorite song from the album would be “The Ninety and Nine” since it reminds me of The Sound of Music soundtrack. Also, Ford’s voice is perhaps one of the most comforting sounds I’ve heard in my life. Combined with the voices and harmonies of the chorus singers in the background, this album could lull me to sleep as I’m trying to write about it. I am awakened from my near slumber as soon as I hit play on Stryper’s album “Soldiers Under Command” which is immediately on the other end of the music spectrum from “Hymns”. The word “God” is the sixth word sung on the entire album, so I know from the beginning that there are overt and obvious references to the band’s religious beliefs. I was expecting there to be a lot more abstract imagery about the religious motifs represented, but I’m glad that they are there in plain words. The first track, “Soldiers Under Command” is about “we/us” being soldiers for God. I’m not sure if the band is talking solely about themselves, or if they are speaking more generally about society in general. “Together Forever” all has a very “we are all God’s children” meaning to it. “(Waiting For) A Love That’s Real” is a song about a girl that is waiting for a love that comes from the heavens with a boy who also sees God as his savior. Even if the girl loves somebody, if they don’t love God, they’re out. This seems crazy to me, but I can understand that there a lot of people who think this way since so many people hold their religion to a high regard. The last track is a straight up “Battle Hymn of the Republic” which is a staple Jesus song but sounds very different than anything you would hear in an average church. I’m glad that the band kept the marching drum in the background of the song to keep a consistency between this rendition and the hundreds before it, before the huge guitar sounds came closer to the chorus. I’m not too sure what I was expecting, but I know that this isn’t what was in mind when I clicked play. There were such blatant referenced to common Christian beliefs, but I could still jam to it. In a way, I feel that this Christian metal album was almost more in-your-face about religion than “Hymns” was, which was a definite surprise even if neither of them felt forced. I want to hear more Christian metal to get a feel for what variety there is in the genre, so I’m also going to be listening to “Hotter Than Hell Live” by Barren Cross to get another taste of the genre. 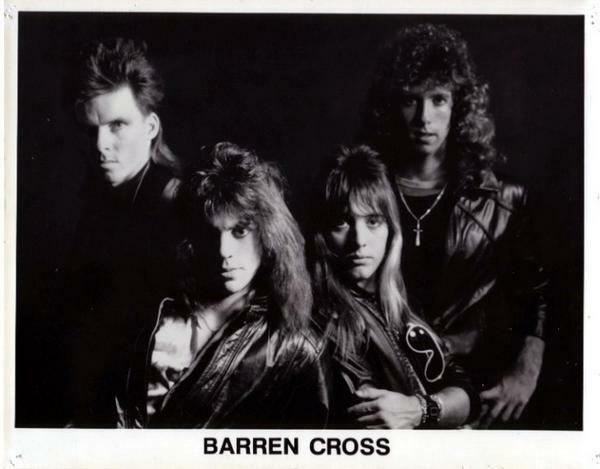 After listening to Barren Cross, I’ve come to the conclusion that I am not as much of a fan of them as Stryper. I was grateful I hadn’t heard a song like “Killers Of The Unborn” which I hate up until this point, but I am not going to get into on this column. I do love that one of the band members tells his fans that if they are struggling with their mental health or have suicidal tendencies that they should know that they are not alone before their song “Dead Lock”. The song also has a really rad guitar solo. Overall, there are lot fewer references to being grateful to their savior and love and happiness with more references to violence and hate and massacre which I could be fine with to some degree if this band wasn’t playing under a Christian title. I like the music just fine, but I feel like it sounds way too similar from song to song that I can’t really appreciate it as much. Stryper had such a different variety of songs on their album that I could see myself listening to it much more often and much more happily than Barren Cross’ music. I can definitely see why people would like this album but it just isn’t for me and that’s ok too. 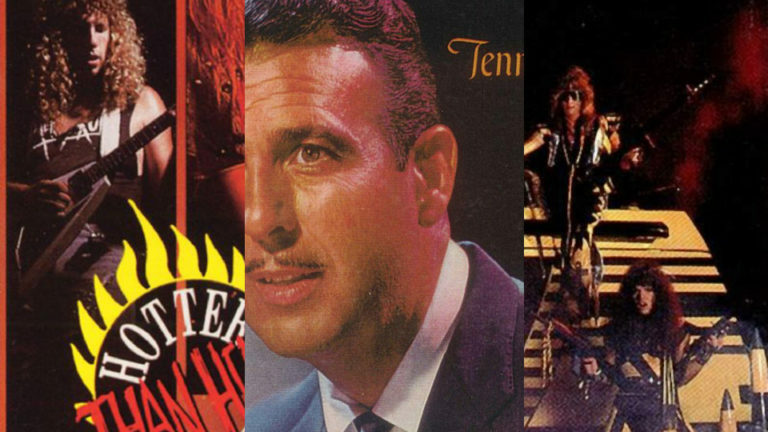 Christian music had clearly changed a lot between the fifties and the eighties, with more veiled biblical/religious references over time and a lot different of a sound. Vocals were clearly different, and I’m not sure I heard a single note from a guitar in “Hymns” while it was a vital contribution to both the Stryper and Barren Cross albums. I am torn between which album I like better, “Hymns” or “Soldiers Under Command”. I think they are pretty equal in my opinion, even though they are very different. I love rock music from inside my very core, and I have since I was a little girl. 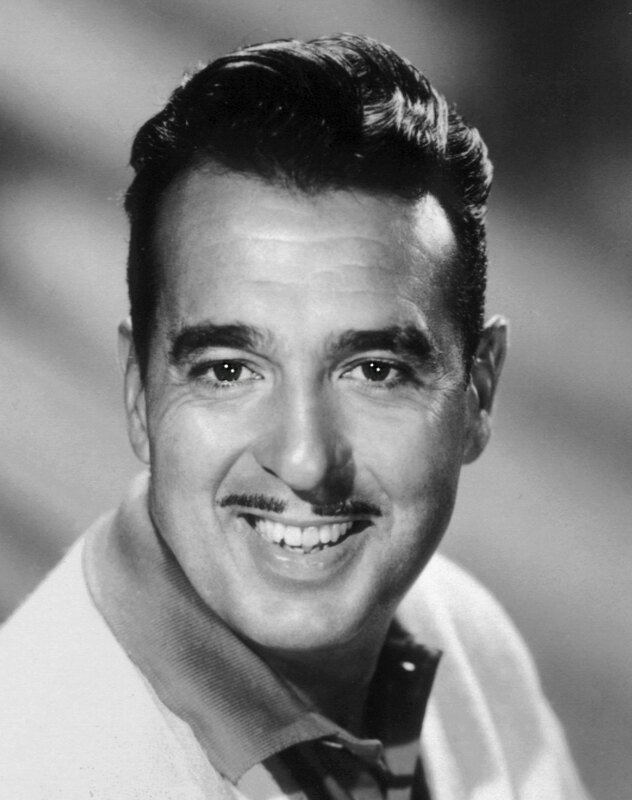 I also love vocal harmonies and music that sounds like it is playing from a record because there wasn’t really any other option like Tennessee Ernie Ford’s album. One is like a movie soundtrack, and one makes me feel like a badass. I can listen to one to soothe me and one to help me speed down the interstate. Neither is my favorite and neither is bad. Listen to “Hymns” here, “Soldiers Under Command” here or below, and “Hotter Than Hell Live” here or below! 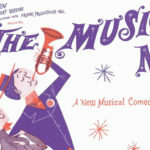 Variety Show is a biweekly column that is in the midst of analyzing the best-selling albums from the 1950’s to the 1990’s. One of the top 10-20 albums from each decade will be reviewed, discussed and/or analyzed each week in chronological order. 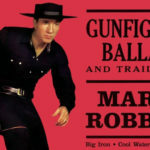 The column aims to draw cultural, musical, and other contextual connections between artists and albums over time, as well as go on a broad but refined journey. 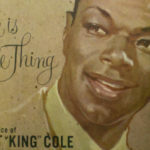 Next week we’ll be talking about “Love Is The Thing” by Nat King Cole, the eighth best-selling album from the 1950’s.